The wait is over! The highly anticipated project 'RapMania' from the 'Mr King Of Grind' of Delaware, Fred Knuxx, is here. This groundbreaking project is dropping during the height of the most anticipated WrestleMania in history! Creativity at it's finest, Knuxx takes WWE wrestlers theme songs and flips them into dope hip hop tracks. 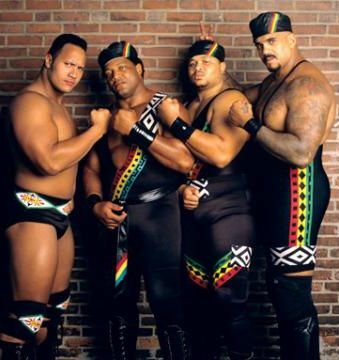 This 14 song project has Fred Knuxx spitting over wrestlers themes such as (The Rock, Mr. Perfect, Legion of Doom, Triple H, CM Punk, Chris Benoit and many more) with special features from ShineWattz, Marchitect, Ezondafnbeat, Dom 1, The Gift, Rude Boi and more. The overwhelming feedback from his debut single "Straight Edge MC" has already solidified this projects success. "Straight Edge MC" can be viewed on YouTube as a visual tribute of his respect for one of WWE's most notable current figures, CM Punk. The video currently has over 16,000 views on YouTube. Download this epic project (for free) now for a limited time before it goes on iTunes. Also lookout for the video to Fred Knuxx next single off RapMania called 'Absolutely Perfect' coming soon. You can catch Fred Knuxx in Miami the weekend of Wrestlemania 3/30/2012 - 4/2/2012 promoting for RapMania.